The wines of Burgundy are legendary and no France wine tour is complete without a visit to southern Burgundy. It’s not only home to some of the best French vineyards and gourmet foods, but also to charming villages steeped in French history. The Burgundy vineyards, with their five major production areas, cover over 225 miles. Our wine and food tour of Southern Burgundy explores the towns from Dijon to Macon, an attractive landscape of mountains, forests, valleys and picturesque villages. Dijon is the capital of Burgundy. 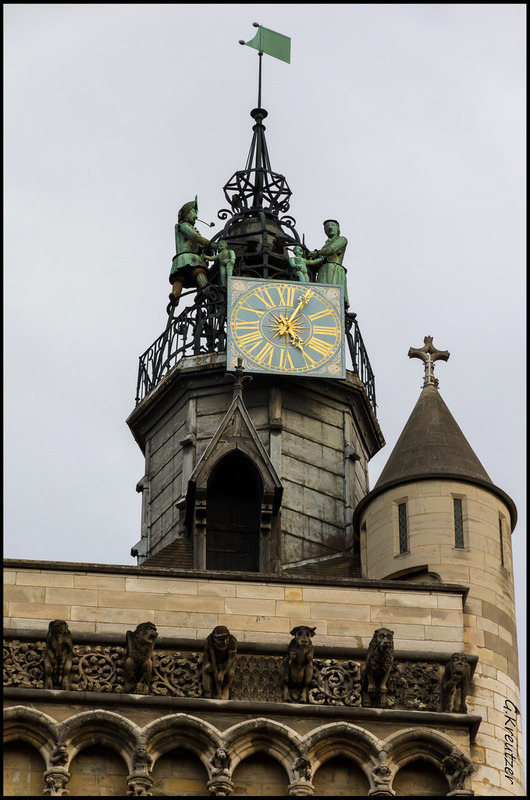 Known as “the City with a Hundred Bell Towers”, Dijon boasts a long religious heritage as evidenced by its numerous towers, steeples and belfries. Visit the beautiful 11th century Sainte-Bénigne Cathedral or take the time to walk up the Jean-le-Bon Tower for its breathtaking views of the Dijon skyline. Wander the historical town center, taking the time to admire its half-timbered houses. 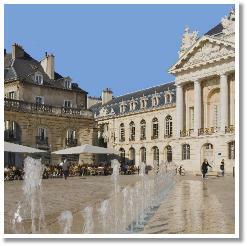 A must see is the Palais des Ducs et des Etats de Bourgogne in the Parliament District. This former palace houses one of France’s major art museums, the Musée des Beaux-Arts, which displays outstanding examples of medieval objects, Renaissance furniture and paintings by such notable artists as Géricault, Courbet, Manet and Monet. Enjoy a traditional meal tonight in one of the Dijon’s exceptional restaurants. Overnight in Dijon. Our luxury food and wine tour includes a day exploring Beaune, the wine capital of Burgundy. En route from Dijon, we will stop along the way at the Chateau du Clos de Vougeot. Take some time to visit Beaune’s picturesque town centre with its bustling cobblestone streets and storybook Flemish-Gothic architecture. 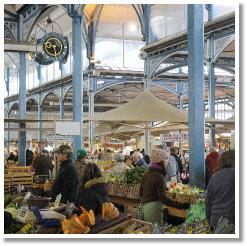 If it’s Market Day, meander through the market, tasting and admiring the cheese, olives, paté, fruit and vegetables. Explore the 15th century Hospices de Beaune or sample many of the region’s famous wines at Marché aux Vins opposite the Hospice. Stop at one of the caves such as Bouchard Aineé & Filsor Patriarche Pere & Fils for a tasting. Enjoy dinner at one of the fine restaurants in Beaune. Overnight in Beaune. It’s now time to discover Cluny! On the way there, you will pass through the countryside, which is peppered with Romanesque churches, charming villages and river valleys. 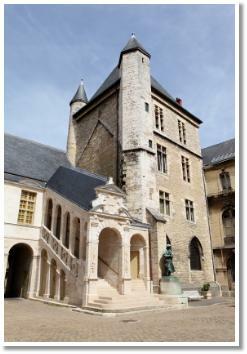 Once the center of an expansive Christian empire, Cluny is legendary for its medieval Benedictine abbey. Founded in the 910 AD, the abbey was the largest church in Europe for hundreds of years and Cluny’s abbots were as powerful as popes. Explore the remains of the abbey, nestled in the Grosne valley, and while there, visit some of the 18th century wine cellars at Le Cellier del’Abbaye for a tasting. Take some time to visit Rue Lamartine with its shops and restaurants. Continue on to Macon for an overnight. Overnight in Macon or Beaujolais. Famous for its wine and the annual wine fair held each May, Macon has a distinctly Mediterranean feel with creamy and burnt orange colored buildings dotting its landscape. Head to the River Saone, take a seat on a terrace of one of the cafés and people watch while you sample the famous Macon wines: Macon-Villages Blanc, Pouilly-Fuissé or St-Véran to name a few. Visit the surrounding countryside and the medieval Chateau de Pierreclos. Originally built in the 12th century, this chateau offers tours of its grounds as well as its cellar. Overnight Macon or Beaujolais. 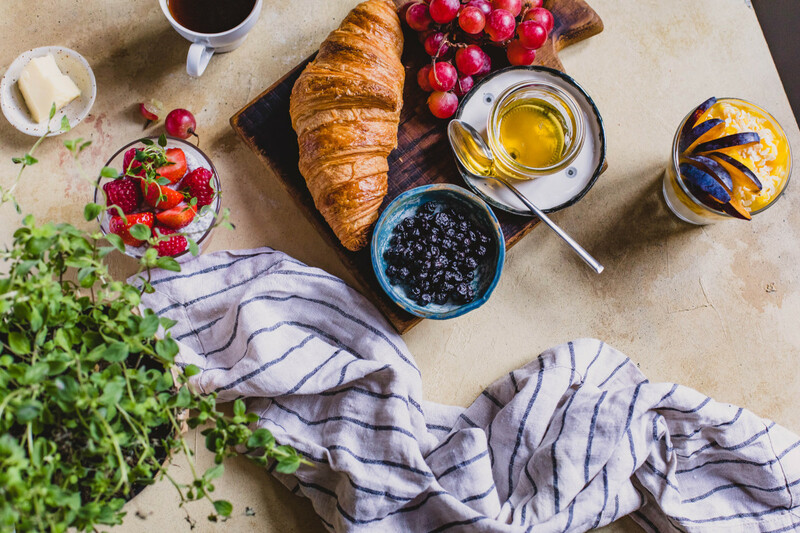 After a delicious breakfast, bid “adieu” to Burgundy before either returning to Paris or continuing on to your next destination.